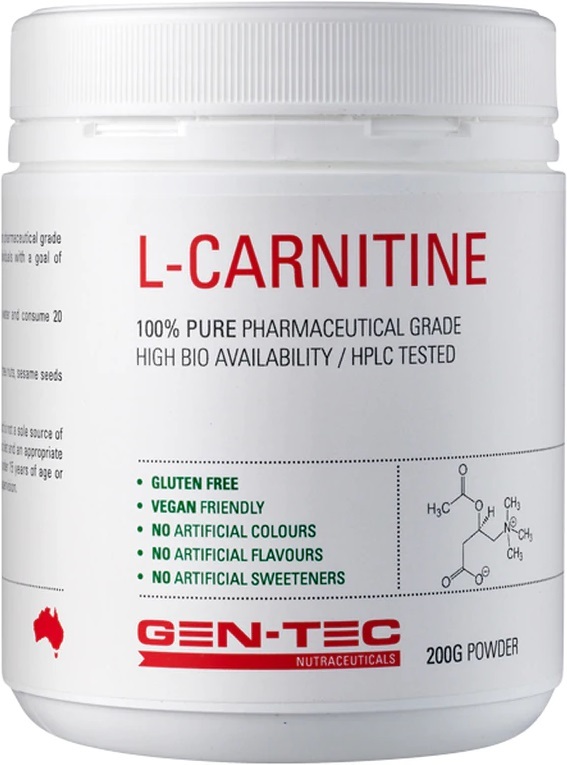 Gen-Tec now offers as part of their new Gen-Tec Nutraceuticals range Gen-Tec L-Carnitine. 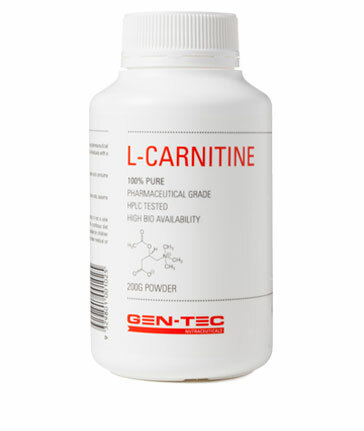 Gen-Tec L-Carnitine contains 100% pure L-Carnitine that has been HPLC tested for purity. L-Carnitine is a fat transporter which enables fatty acids to be carried into the mitochondria of a cell where it is burnt for energy to fuel muscles. Gen-Tec L-Carnitine is has a high bioavailability and its supplementation is ideal for those wanting to reduce subcutaneous body fat. Mix ½ teaspoon (2g) of L-Carnitine in water and consume 20 minutes prior to cardiovascular exercise or before bed. INGREDIENTS: 100% Pharmaceutical Grade L-CARNITINE Tartrate.